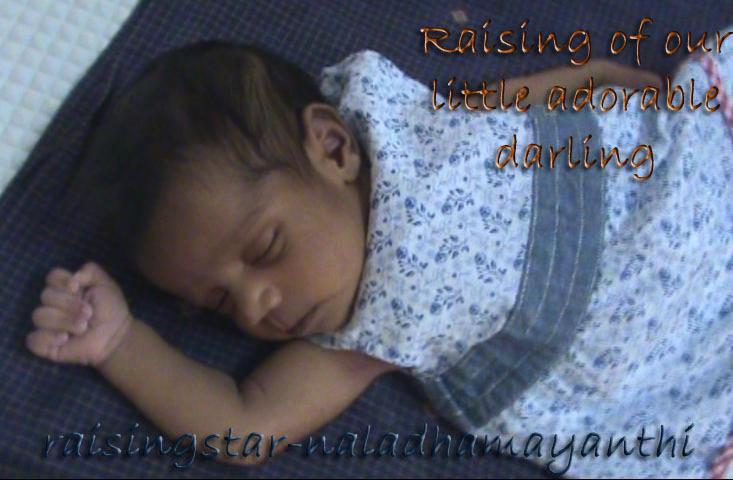 Raising of our little adorable darling: Grown up! Thamizhini never ever scared for anything, once she started walking. Her legs never stopped roaming house and wanted to go out always then walk. When we were on train towards native, she wanted to walk even though train was moving and she was not able to balance too. I was not able to control my laugh when she was asking for that lock. I was always wondering what is there in the lock as she always wanted to play with it. In our house, it was reachable to her hand, so she plays with it and she wanted the same even outside the house. As it was not reachable, she was crying and trying to climb on the door. I felt like ROFL.